In a post on Friday morning, I touched upon the increasingly common notion that iOS has gotten much more complex in recent years. Some users even believe that much of the platform’s complexity comes at a cost, and that cost is a user experience that isn’t as user-friendly as it once was. That’s certainly open to debate and there are strong arguments on both sides of the fence, there are some things that are clear beyond a shadow of a doubt. Among them is the fact that iOS is packed so full of features and functionality that there’s simply no way to remember everything. We share lesser-known iPhone tricks all the time here on BGR, and we also like to share new resources when we come across them around the web. Such is the case today, thanks to a post in the Apple subreddit on Reddit. It’s actually a cross-post from an old thread in a different subreddit, but the tips and tricks within make it worthwhile. There’s a whole lot covered on this list, and some of the tricks will undoubtedly be things you’re already familiar with. But the tips are varied enough that everyone is bound to learn at least something — in fact, even I learned a few things I didn’t know from this post. 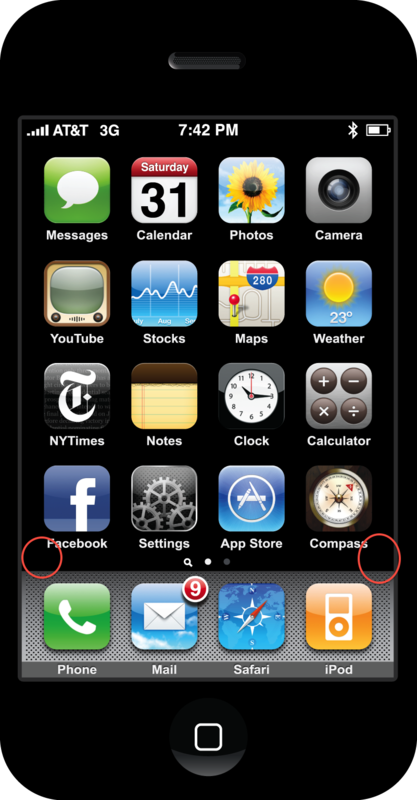 Swipe up on two or even three apps at a time with multiple fingers in task switcher to close all quickly. Tapping “123” then tapping the character you want then finally clicking back to the main keyboard can be a hassle. Instead hold down “123”, slide thumb to character you want to use then let go. The character will be inputted and your keyboard will be back to normal. Tap chunk of text with 2 fingers to highlight the whole thing. Works only when commenting/editing etc. Force close a single app by holding the power button until the slide to power off slider appears, then press and hold the home screen button. It will close any app that you are in and also remove it from the RAM, forcing it to completely reload upon re-opening. Fixes many problems. You don’t have to swipe the homescreen to go to the next, you can simply tap the left corner/right corner right above the first and fourth icons on the dashboard. See screenies: http://i.imgur.com/zNR0M.png. That last one is news to me, and there are a few more obscure tips where that came from. Check out the full list on Reddit.